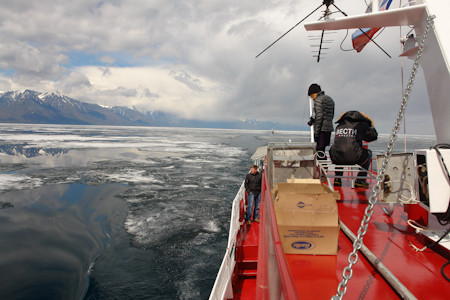 An annual project - expedition cruise «On the heels of the melting ice of Baikal» is a comfortable motor-ship voyage during the period of ice melting of the lake. Duration: 11 days / 10 nights. 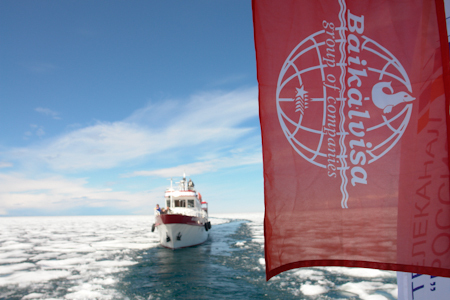 The annual (since 2004) expedition starts in a unique period of the liberation of the lake from the winter ice cover, when the southern and middle hollows of the lake are free of ice while the northern one is covered with heavy and broken pack-ice. 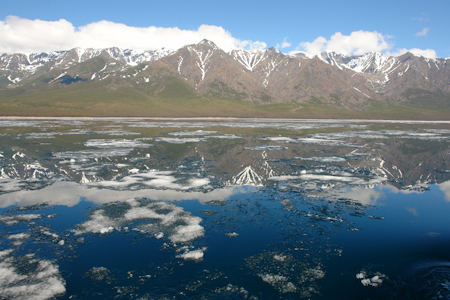 The purpose of the expedition is to see and capture Baikal during its unique period. The expedition will be carried out on comfort-class motor-ships Tatiana and Sibiryak. NEW !!!! In this year we propose a new format of participation. 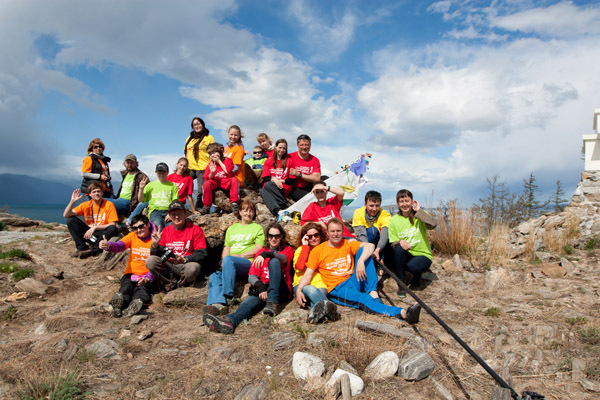 Everyone can choose a convenient option for participation – buy a tour for all 11 days or join the group for only 3 days (to visit the north of Baikal or go half way). Visiting Peschanaya Bay (the well-known stilted trees). 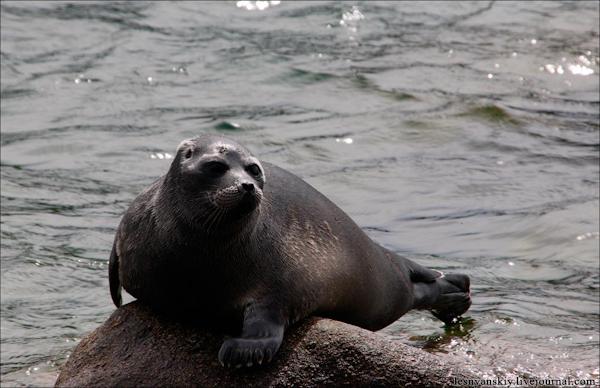 During the expedition it is possible to observe seals on floating ice floes and also bears coming ashore near the Peninsula Svyatoy Nos and the northern cost of Lake Baikal. The expedition ends in Listvyanka Settlement. 15.00 – The passage of the source of the river Angara, Shaman-stone. Tourist settlement Listvyanka is located on the southwest shore of Lake Baikal, 65 km away from Irkutsk, at the source of the Angara River. The city and the settlement are connected by picturesque asphalt road. 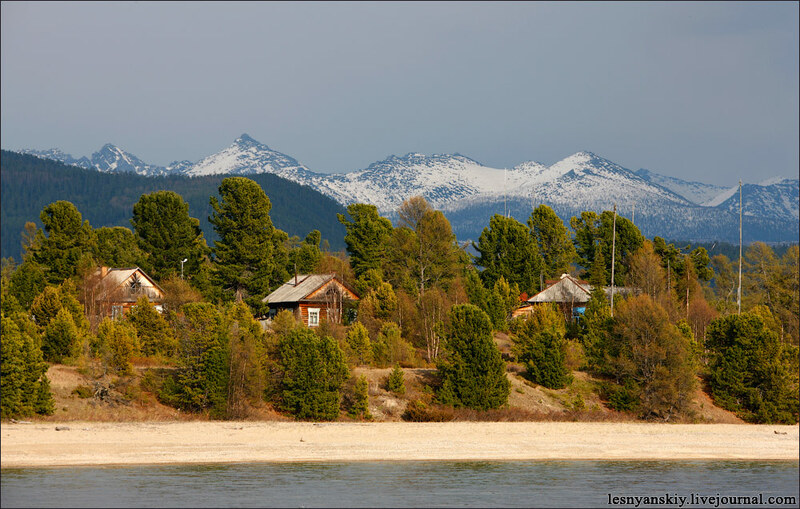 Bolshiye Kotya settlement situated on the western shore of Lake Baikal, 18 kilometers (11 mi) to the northeast of Listvyanka. The history of the settlement is closely tied to the beginning of gold mining near Baikal in 1842. There are several versions of the origin of the name Bolshiye Koty. According to the dictionary by Vladimir Dal, "koty" means a trap for fish installed at the mouth of a river. Alternatively, the name of the settlement comes from the word "Kotky", or "Koty", a word used to call wooden shoes worn by "katorzhnik" – a forced laborer in katorga camps. For half a century in the area of Bolshiye Koty extracted more than 160 kilograms of gold. 20.00 – Passage to Peschanaya Bay. 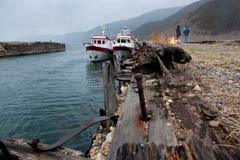 Arrival in Sennaya Bay which is a cordon of Baikal National Park is in the evening. In the evening one can visit Russian banya located on the shore of Lake Baikal. Overnight stay on board the ship in Sennaya Bay. 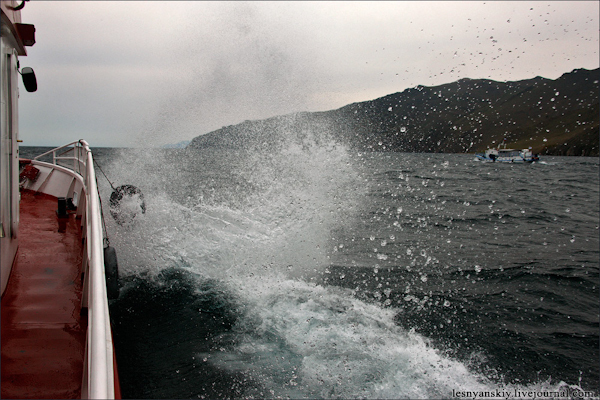 to Olkhon Island (travel time is 8-10 hours). 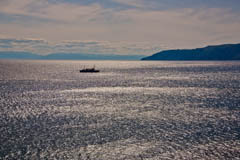 Baikal is the blue heart of Siberia, and Olkhon is the heart of Lake Baikal. The island is the geographical, historical and sacred center of the lake – the center of ancient and historical legends. 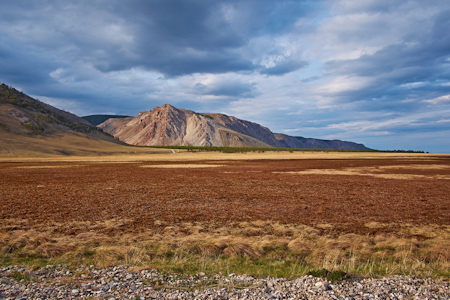 There are 15 rocky islands on Maloe More (the Small Sea) including Olkhon Island. The islands Zamogoy, Ogoy, Oltrek and others are the largest of them. Overnight stay on board the ship in one of the gulfs of the southern Olkhon’s extremity. 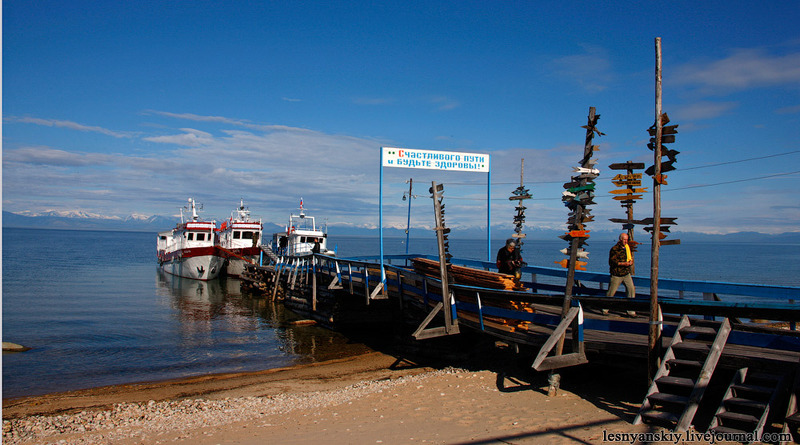 12.00-14.00 Exit from the board to pier in the village of MRS (Sahurta) on the Small Sea. Free time and walks around the village. 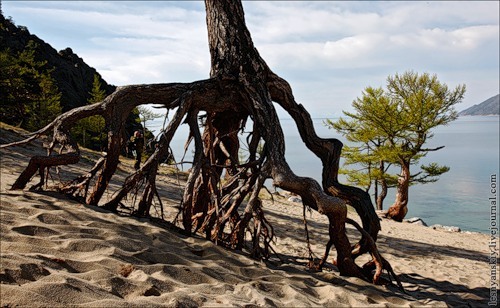 Cape Ryty is located in the Central part of Baikal on the West bank opposite the widest point of lake Baikal. There are no settlements, roads and even a trail along the coast. Locals studiously avoid visiting the cape calling it a cursed place. Something unexplicable still happens in Cape Ryty but the nature of it is still not clear for people. Cape Pokoiniki is located in the northern part on the West coast of the lake at the foot of Baikal range. On the old map which was one of the first the cape has a name Cape Pokoiny. The fold near the Cape was called Pokoinaya. Then the name Pokoiny has gradually changed to terrible one – Pokoiniki (lit. decedents). 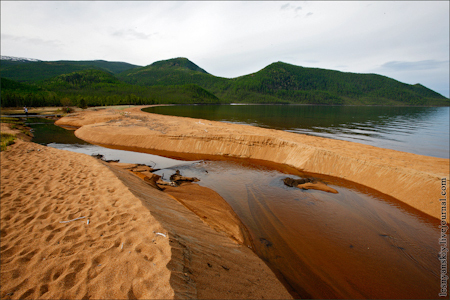 These days Cape Pokoiniki is the part of Baikal-Lena Nature reserve. There is also one of the oldest Baikal meteorogacal stations called “Solnechnaya” and cordon of the reserve. In 1962 after the world’s first discovering of microquarzite which is an abrasive material of very high durability used for mirror polishing of metal the enterprise "Baykalkvartssamotsvety" built a Settlement for geologists near Cape Zavorotny. These days only a few people live in the Settlement. "The transition to the east coast"
This bay is famous for its healing sulphurous baths with water temperature from +41 to +45 degrees. 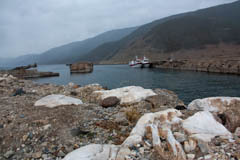 The rocky shores of the islands are rookery of the unique Baikal mammal Baikal seal or nerpa. 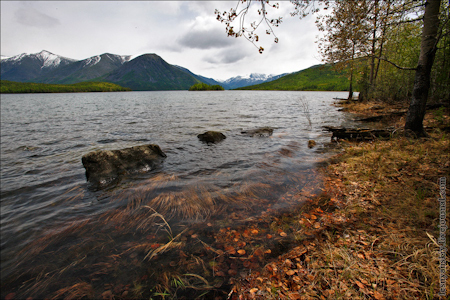 The largest Baikal rookery of nerpa is located on the western side of Tonkiy Island. According to scientists, the number of nerpas at the rookery ranges from 2,000 animals and it hasn’t changed since 1934. Nerpa is cautious. If one speaks loudly and makes noise approaching nerpas, they dive from stones. Usually there aren’t nerpas at the rookery right after storm or in case of waves on the water (as an option you can visit the island at an additional cost). Shaman Rock is one of nine shamanic shrines of Asia earlier called the "Stone Temple." 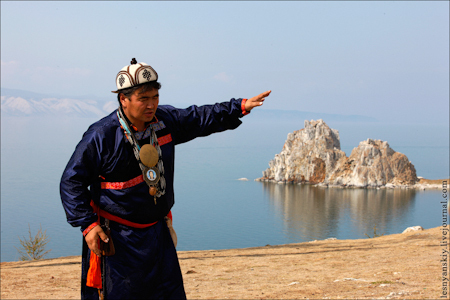 A cave in the rock of this cape which is also called Shamanka is the most revered sacred place on lake Baikal. People have been making sacrifices and vows to the roch since the appearance of first shamans. Visiting Ogoy Island is possible. In 2004 the Buddhist Stupa was built on the top of the island and one can observe spectacular view of Maloe More (the Small Sea) and Olkhon Island from there. 13.00 landing of new participants on board. Peschanaya Bay is famous for its stilted trees and spectacular sea views from the surrounding cliffs. 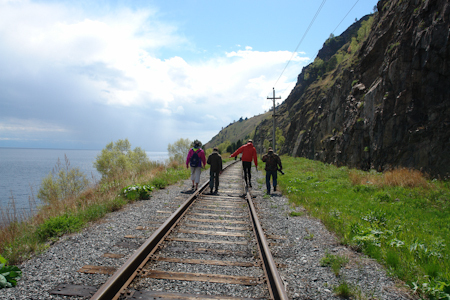 Passage from Peschanaya Bay to Circum-Baikal Railway. Walking tour through the abandoned tunnels and galleries of the beginning of the 20th century. The route takes place along the lake shore with it’s a most picturesque nature. Overnight stay on board the ship near the mouth of the river Shumiha. 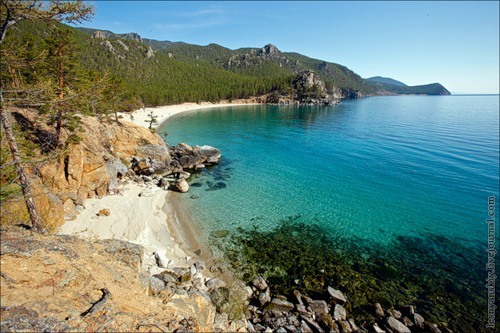 There is a small sandy beach in the bay, a small fishing village of the time of Circum-Baikal Railway construction near it and also beautiful creek valley. Passage from Circum-Baikal Railway to Listvyanka Settlement. 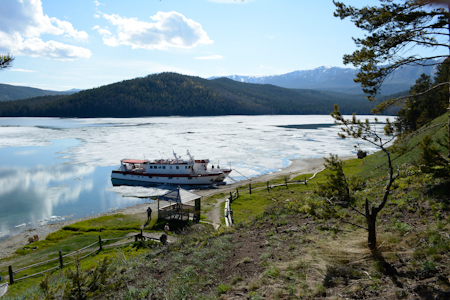 If you go to the lake in the summer, keep in mind that the temperature can be from +10 at night to +30 in the afternoon. Therefore, we recommend taking light clothing as well as warm clothing. In winter, the temperature drops to -30 degrees, so it is strongly advised to take warm clothes sets, thermal underwear and thermos. Also take with you a first aid kit and, of course, a camera. There are so many places at Baikal worth picturing that memory cards happen to be full at any moment. So extra memory cards along with extra batteries will help. 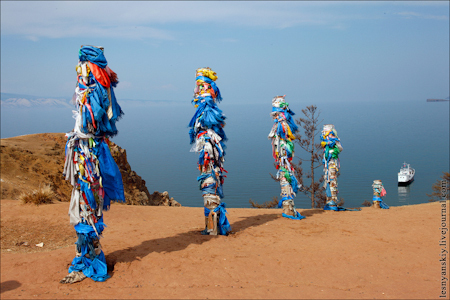 Whenever you intend to visit Baikal take sunglasses and sunscreen. They will be particularly needed in spring period when the sun reflects from the clear ice and snow so your eyes and skin should be properly protected. Repellents should also be a must-have. There are few mosquitoes (gnat) and in most cases it is not more than weary companions. But an individual reaction for gnat bite can take place so put a repellent and after-bite in your bag to keep on the safe side. There are ticks infected with Lime disease and encephalitis in all Siberian regions. However, for the last years no encephalitis outbreaks took place in Baikal region. Usually the danger of tick bite is exaggerated. At stops inspect ear conches, elbows etc. 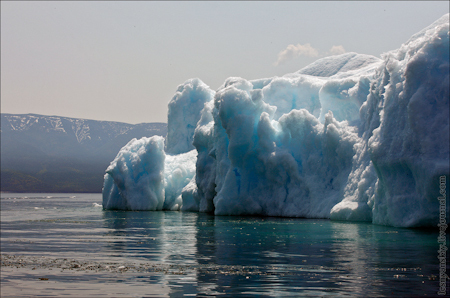 Хотите забронировать expedition cruise «On the heels of the melting ice of Baikal»? Звоните: +7 (3952) 550-464.